The Provost’s Office sponsors the Academic Convocation series. This series occurs on Friday mornings throughout the year. Through a variety of speakers and topics, Convocation is designed to foster the development and application of a Christian worldview. To that end, its programs provide common experiences to the academic community that will at times reinforce and at times challenge perspectives expressed in the curriculum, encouraging us to listen graciously and learn deeply from those with whom we agree and disagree. In addition, during select Fridays throughout the year, the Convocation hour is utilized to recognize the success of individuals connected to the Gordon community (i.e., Homecoming Convocation, Honors Convocation, etc.) and by the Student Life Office to assist students with personal and professional growth. This year, we are pleased to welcome a range of talented speakers to campus for convocation, all of whom will focus on the theme: “That All May Have Life Abundantly: Making Spaces for Human Flourishing.” In the aftermath of the #MeToo movement that brought to light sexual violence against women, the Time’s Up movement began in January 2018—focused on power distribution within the workplace. The Time’s Up movement seeks to address issues of fairness, safety, discrimination, and exclusion in professional settings—specifically with regards to women.  The Convocation Committee reasoned that issues of fairness, safety, discrimination, and exclusion are critical for students, faculty, and staff at a Christ-centered institution like Gordon. Therefore, the 2018-19 Academic Convocation series has invited speakers from a variety of contexts, including individuals with experience in the workplace, churches, universities, missions, NGOs, women’s prisons, and urban development, to share how they have witnessed the negative impact of power dynamics—and how they (or others they’ve worked with) have been able to overcome such circumstances and pursue work that focuses on making spaces for human flourishing, so that all may have life abundantly.